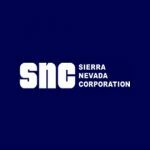 Sierra Nevada Corp. has secured a potential five-year, $205 million contract to provide support services for electronic warfare technology the U.S. Special Operations Command uses to disrupt radio-controlled improvised explosive devices. The Defense Department said Monday SNC will support the command’s Dismounted Counter Radio-Controlled Improvised Explosive Device Electronic Warfare systems and perform contract work in California and Nevada through Sept. 12, 2022. Delivery orders under the indefinite-quantity/indefinite-delivery contract encompass Modi and Thor II sustainment and engineering; new CREW system procurement; loadset, software and firmware development; and research and development services, according to a FedBizOpps summary. Work could also include spare parts and ancillary equipment; subsystem prototype development; upgrades and service life extension programs; and training and field support. USSOCOM will obligate $838,704 in fiscal 2017 research, development, test and evaluation funds for the first delivery order.